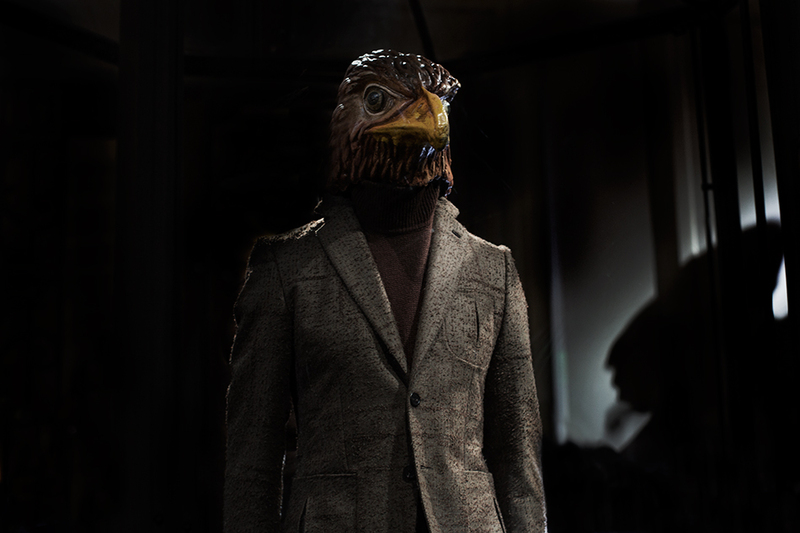 The luxury fashion label, Berluti, made headlines with their over-the-top Fall 2013 presentation at Paris' Museum of Natural History. People were awestruck by the collection being presented among a Noah's Ark of taxidermy and dioramas of extinct and endangered species. Many of the human Mannequins wore animal heads in an aesthetic attempt to belong. 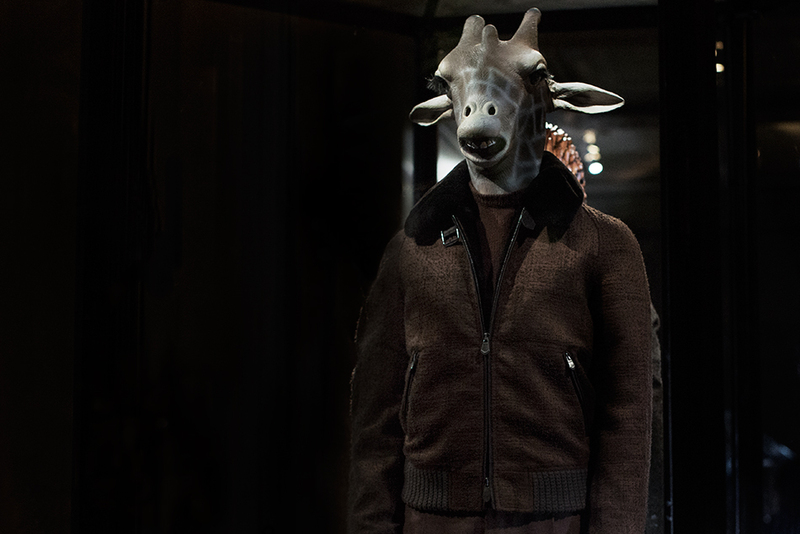 Artists, fashion aficionados, and people in general have an overwhelming sense of awe when in the presence of animals, and Berluti certainly capitalized on the opportunity to associate their brand with this awe. When asked why, Berluti's creative director Alessandro Sartori claimed, according to Style.com, it "got him thinking about the genealogy of his own profession: how tailoring had evolved, what was lost, what had survived." Poetic? For sure. But it also showcases a disconcerting lack of responsibility as being more than just an analogy to evolutionary history. The designer, the attendees, and the public were cheated out of a much more profound and important connection that could have been made; that Fashion does not evolve in a bubble removed from nature. And furthermore, the effects of both the physical production models and the semiotics of fashion symbols has profound, global impacts on animals, ecosystems and peoples. The show featured a predictable mix of what has represented the ultimate in luxury for centuries: various animal skins, animal hairs, pelts and plumage. I wonder if anyone at Berluti or the Museum knew that only 100 years ago, many species of birds were driven to extinction or near extinction because of women's hat trends? Or that the fur industry is responsible for trapping endangered and protected species like Canada Lynx and Bald Eagles on a regular basis? What about the fact that semi-aquatic animals like mink are kept caged for their entire lives, depriving them of everything they evolved to do? Of the fact that Nutria were introduced to the Gulf Coast by fur farmers and became an invasive species destroying the wetlands? And what about leather? How can this classic luxury symbol be responsible for the worst environmental and human rights issues? How is it possible for something so counter-intuitive to the educational agenda of The Museum of Natural History be featured within its walls? The answer is pathetic; no one realizes and no one connects the dots. Wearing animals is seen as given, not as a choice or ideology with its own set of values. In this sense, it is fashion carnism. Why is it acceptable to wear "down-filled quilted leather" but not elephant leather? Are we not supposed to look at animals as being more than a stockpile of fashion accessories in-the-raw? I'm not saying that Berluti is solely responsible for these atrocities, but it's rare that an opportunity to connect these dots so obviously presents itself. Fashion carnism, like traditional carnism, is a dominant, violent ideology that, according to Dr. Melanie Joy ,"...need[s] to use a set of social and psychological defense mechanisms to enable humane people to participate in inhumane practices without fully realizing what they're doing." In other words, so long as animals' bodies are turned into mainstream symbols of luxury, removed entirely from the real-world impacts of the brutality of production, there will continue to be more endangered and extinct animals to add to the museum.